Volunteering at Kopernik Observatory in public outreach activities, I have never seen a member of the public not be amazed at what we show them through our telescopes. People, no matter what their background are always amazed at what the heavens have to show us. There is a good reason for this, it is just simply amazing to observe and ponder the vastness of space, and to come to the realization that the wonders which surround us here on Earth are just one small part of the cosmic equation. I have only been active in the local astronomy community for about five years now, but I have been “observing” in one fashion or another for most of my life. Furthermore, I have only owned my own telescopes for about five years. 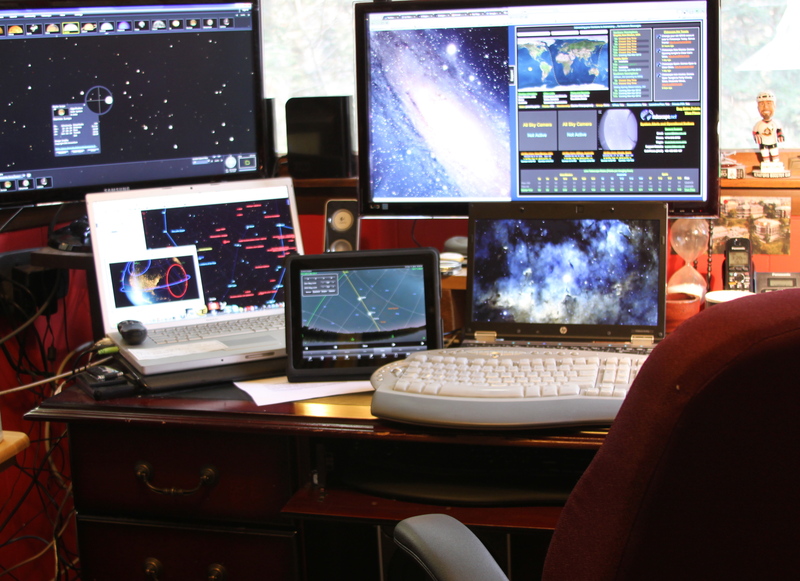 Before I purchased my first telescope, I spent many years “observing from the armchair.” Well more specifically, from my computer chair since the mid 1990’s. There is a wealth of information, images, computer software, and groups of people one can interact with without leaving the home. Let’s Go Observing at a Light House! OK there are two things that never go well together. Serious amateur astronomical observing and light pollution. The most irritating form of light pollution is something that is cyclical and periodic, but not constant. For this very reason, the last place one would imagine to go observing would be at a lighthouse. The periodic flares of light are the worst irritant to an observer, as the eye never adjusts to any particular steady state. It just seemed fairly ironical that the icons which signify the start of global light pollution would end up being an astronomical observing location for a night. In my latest observing session, I had setup my C-11 on the Losmandy mount, and it was a nice, clear brisk night. A little transparency and seeing issues but that just pushed me to check out some deep space objects. However, on this night, I had no plan in mind, and had to “get creative“ on the fly. I really wanted to observe some far off galaxy to get my imagination into things. I guess I wanted to look at some very distant land, thinking that maybe someone or something was observing me right back. Seeing nothing but a fuzzy object with little definition and a bit of structure, my mind drifted to the orientation at which they would be observing the Milky Way Galaxy. The three dimensionality of space and our orientation in the Milky Way has always intrigued me. I long for a three dimensional model of the universe to ask such questions of. 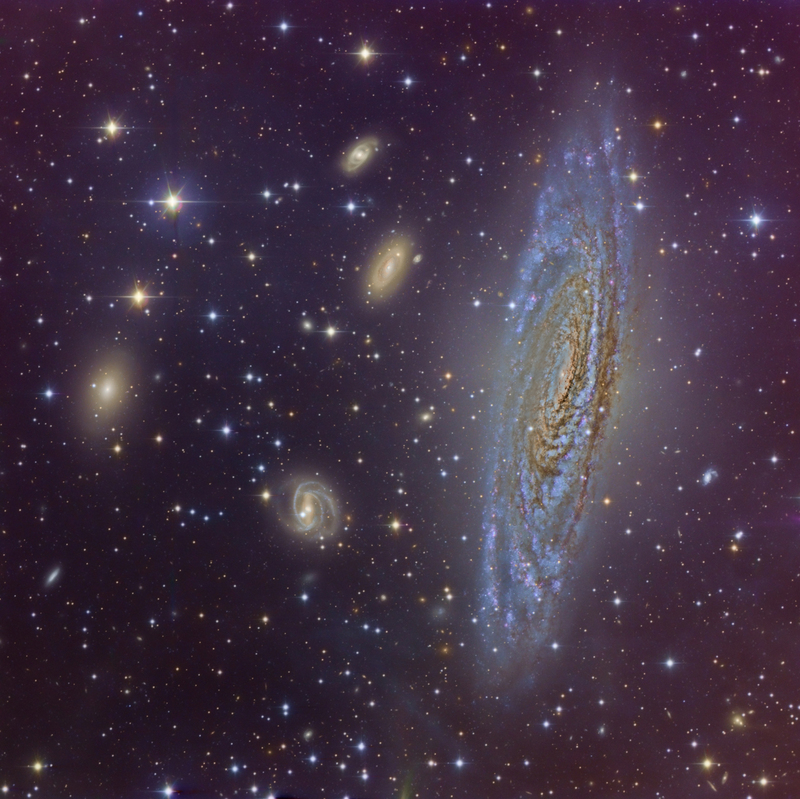 I had never looked at NGC 7331 visually, just observations from the armchair admiring other’s photographic efforts. Hey Pegasus was up in the sky, so why not observe what many people refer to as the Milky Way’s Twin. Looking at TheSkyX, I noticed that there are other more faint galaxies in the that region of space. Maybe I would get lucky, and see some of these more faint galaxies as well. So be it, syncing the Losmandy to the stars Sheat and Matar in Pegasus, I then punched in NGC 7331. The scope did its job, and there was a faint fuzzy in my 55 mm EP. Cruising around Taurus, checking out the normal targets, I wanted to hunt down a challenge object. Awed at the Pleades and Hyades clusters (both naked eye and through a 4” f/9 refractor)m and then barely squeaking in a peak at M1, visible, but more of my imagination was needed. I thought there had to be an object in this region that I could view with an 8” SCT, and yet had a bit of a challenge factor to it. A fuzzy snowball was in order. Being a fan of the spent matter from a star that didn’t have the “stuff” to go super nova is always intriguing to me. A quick reference to the SkyX, resulted in quite a few targets. The first ones were listed as planetary nebulae of unknown magnitudes, and I know what that normally means…not with an 8” SCT ☺. The Perseid Meteor Shower came and went last week. The peak was occurring between Tuesday August 11th and Friday August 14th. I always get excited about the Perseids. A few years back, I was observing on a rather explosive night of shooting stars, and ever since then, this has been my favorite meteor shower to observe. Living in Upstate NY, it is also one of the few Meteor showers to observe in shorts, under the warm August nights.